Yoga is an amazing stress-buster. When you consider that 75 to 90 percent of all visits to the doctor are related to stress, Yoga's holistic approach is a prudent first choice for fostering well-being. Through its relaxation, postural, breathing, and meditation exercises as well as dietary rules, Yoga can effectively lower your level of tension and anxiety. Thus, yogic practice boosts your immune system, which helps keep illness at bay and facilitates the physical healing process if you're already sick. Research demonstrates that Yoga is a very effective way of dealing with a variety of health problems from hypertension, adult-onset diabetes, and respiratory illnesses (such as asthma) to sleep disturbance, chronic headache, and lower back pain. 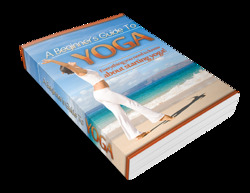 Yoga can help improve your cardiovascular functions, digestion, and eyesight and even enable you to control pain. You can practice Yoga as both remedial and preventive medicine. You can't find a cheaper health and life insurance policy! Moreover, Yoga is pain-free. In fact, Yoga helps overcome all forms of suffering (see Chapter 20).